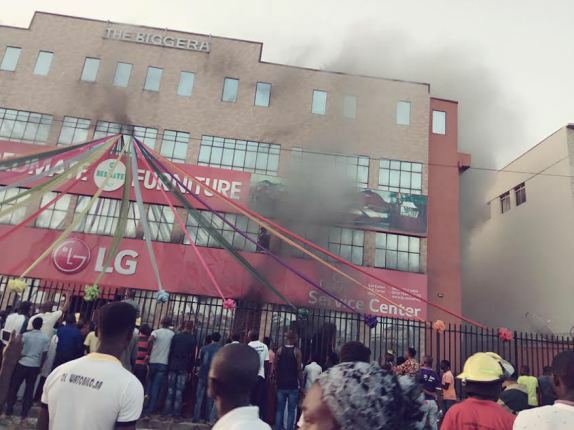 LG, Bedmate counts lost as fire burns showroom yesterday – Royal Times of Nigeria. 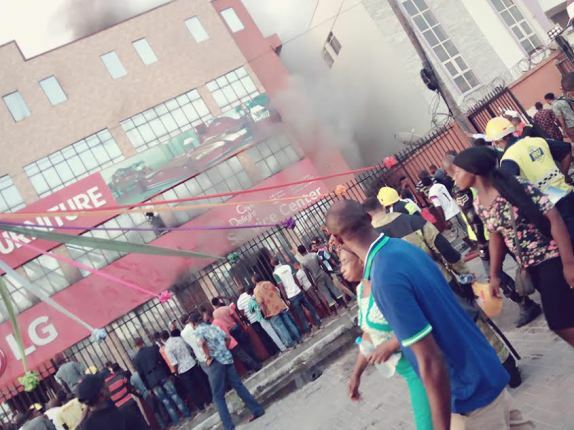 Popular electronic venture LG Nigeria and its neighbours, Bedmate Funitures counted huge losses as the building that houses them caught fire and properties worth millions of naira were consumed. The showroom which is located at New Road, Cheveron Drive, Lagos was said to have caught fire at about 1pm yesterday and didn’t stop till the early hours of this morning. According to an LG staff, the fire escalated due to slow response of the Chevron Drive fire fighters team, adding that they called them as soon as the fire started, but they didn’t arrive the scene on time.